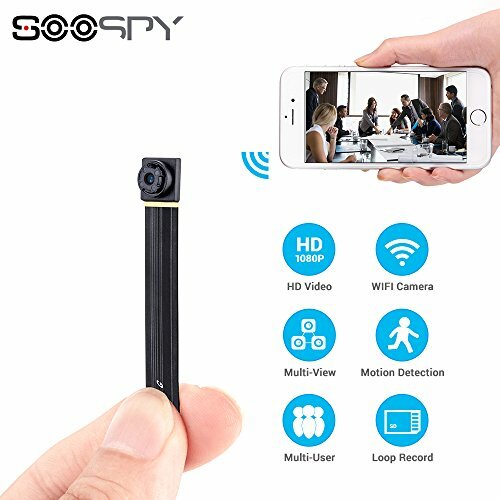 Super Mini Small Camera:This mini camera is the world's smallest portable camera with 8 different style DIY lens buttons.The small and portable design makes it perfect for home security and anything you care about. It can also be used as a home nanny pet baby cam. LONG RECORDING TIME: With 3000mAh high capacity rechargable battery sustainable camera for 6 hours and more,connect with portable charger or power outlet for charging for 24 hours recording. If you have any questions about this product by SOOSPY, contact us by completing and submitting the form below. If you are looking for a specif part number, please include it with your message.